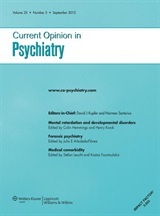 The purpose of this review is to highlight recent English-language literature on the history of psychiatric institutions. It considers work published since 2010, as well as a few important older articles that have not yet been reviewed in these pages. Developments in the last half of the 20th century suggest that psychiatric historiography might finally be able to put the mental asylum behind it. Deinstitutionalization and the diffusion of professional jurisdictions seem to have consigned institutional histories to the methodological dustbin. But these transformations have also opened new perspectives on the institutional history of psychiatry and its methodologies. This review reflects on some of the enduring historiographic potential and importance of evidence drawn from institutional settings. As carceral narratives have begun to lose their paradigmatic status within psychiatric historiography, a much more nuanced picture of asylum culture is becoming visible. The history of psychiatric institutions remains an integral and productive part of psychiatric historiography.